Seasons have changed, summer’s gone for good now and I finally got used to working on a schedule again after two months of vacation and a wild hearted boho lifestyle. It’s back to university, back to work and back to reality now. And call me crazy but somehow that’s got it’s own beauty. That feeling of getting things in order again after even the last bits of tan lines have faded and the sand’s completely washed out of your hair. There’s days when sitting down with my laptop, my planner, some good coffee and getting things done is the most satisfying feeling in the world - can you relate? But back to reality also means leaving behind some clothing habits and trading bikinis for coats and cute clutches for a proper tote bag that actually fits everything one needs in every day life. As a new beginning somehow seems to scream for a new bag I started looking for one that was big enough to fit everything but still didn’t look too bulky. And as if the universe was responding to my thoughts, I heard of BREE’s Stockholm line. Most of my German readers probably already know BREE but for those of you who haven’t heard of it yet I’ll give a little insight into the label’s history. 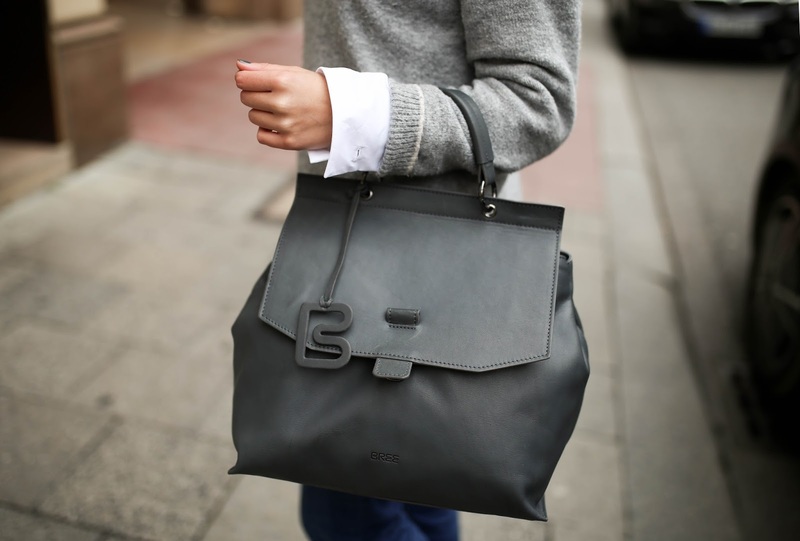 It’s been founded in 1970 and has been known for its high-quality bags and accessories ever since. So it’s basically a long-standing company that’s made it’s way from our mothers’ closets to our own wardrobes with its modern and timely designs. Now as I already mentioned I recently got a bag from BREE’s Stockholm line. The Stockholm line presents very classic but still stylish bags made of smooth natural leather and is one of the label’s most famous lines. My model is called “Stockholm 31“ in the color “slate“ and can be worn in different ways. It naturally comes with the short handle but there’s also an adjustable strap that you can use to wear it as a shoulder or cross-body bag, which makes it even more practical for every day life. BREE also sells a lot of really fun straps and accessories separately that can also be used for this Stockholm 31 tote and of course any other bag. The best part about the bag I chose is that it fits my laptop so it really does fit everything I need for a workday. Still there’s also many other bags in different shapes and sizes. 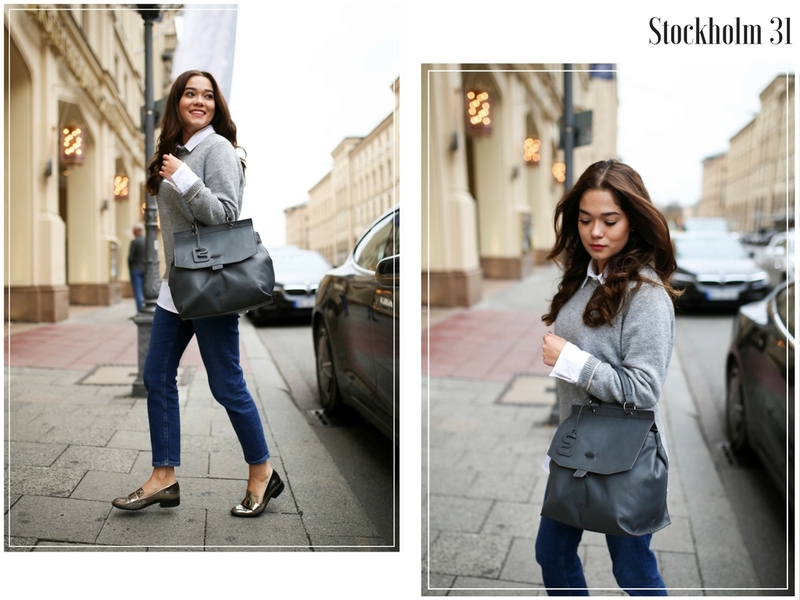 So no matter if you’re looking for a small cross-body bag or a large weekender - I’m pretty sure there’s one Stockholm bag for everyone.